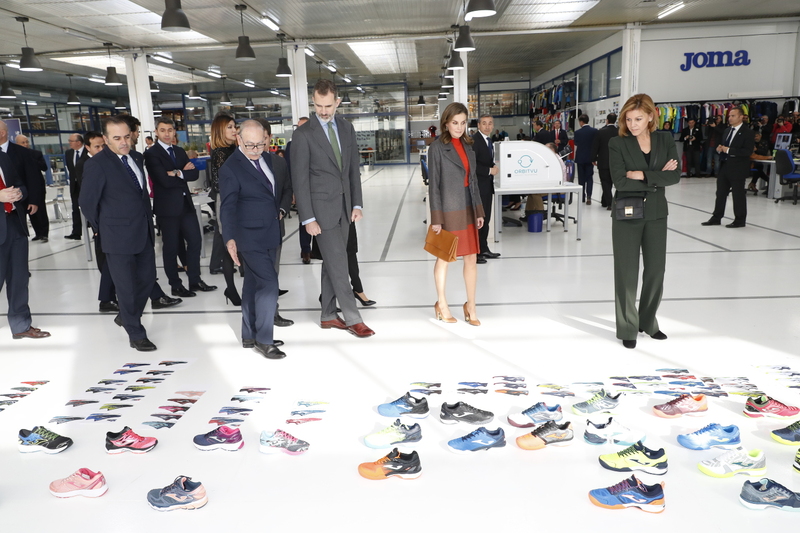 Today King Felipe and Queen Letizia visited headquarters of the sports company Joma Sport in Portillo de Toledo. They toured the facilities and learned about the history and future projects of this leading Spanish company in the sports equipment sector. 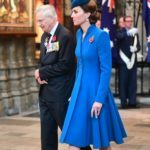 A presentation on the history, evolution and projects of the company was given to the royal couple. These facilities consist of 60,000 square meters that host almost 200 employees divided into the Administrative and Design Area and the Logistics Center. Their Majesties began the tour of the facility with administrative area of the main building. Next was the Olympic horsemanship, which was exhibited in the form of some mannequins in the facility. Then the King and Queen visited the area of innovation and design in footwear and textiles. 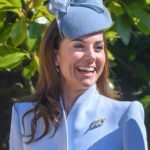 After that the couple saw the commercial development area and observed sports equipment in the area conceptual model store. The last stop of the tour was the Ship Logistics, they visited the area of replenishment, packaging, automatic unloading, sorting and output of the product. After the tour of the facilities, Their Majesties the Kings discovered a plaque commemorating the visit, photographed with the workers of the company. Before leaving, King and Queen held a brief meeting with family members of the founder of the company. 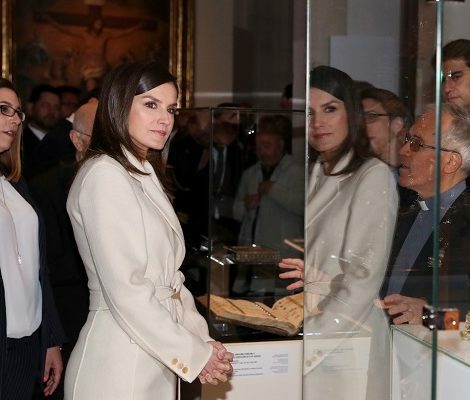 Moving towards the sartorial details of the visit, Queen Letizia once again visited her wardrobe and brought back the coloured-block look from 2016. 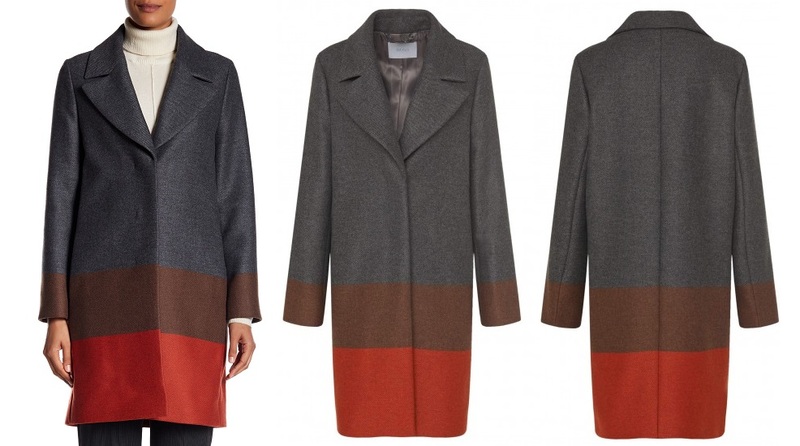 Queen was wearing Hugo Boss Colorblock Wool Blend Coat. A virgin wool blend creates the luxe feel of a colorblock notch lapel coat. 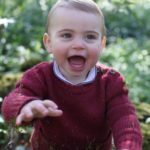 it features long sleeves with front hidden button closure and 2 on seem pockets. The coat is currently retailing at $349.97 Nordstrom Rack. Queen paired the outfit with red sweater and ‘Malivi’ Colorblock A-Line Skirt from Hugo boss that has same colourway as the coat. A striking tricolor design sets apart a polished skirt tailored from wool-blend twill with a kiss of cashmere softness. Letizia carried camel coloured ‘Luxury Staple C’ Calfskin Clutch with Chain Strap from Hugo Boss. The envelope clutch with Foldover snap closure is available in black colour for $291.99. 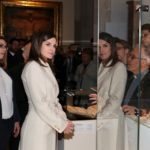 Once again Queen Letizia chose HogoBoss for footwear in this week. She wore camel leather block heels. 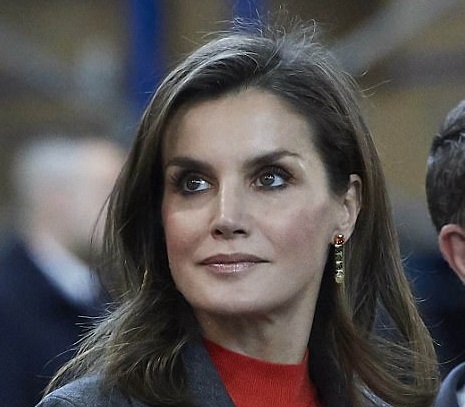 Giving a matching touch to her outfit, Letizia wore citrines earrings having three green gems and amber. The label of the earrings is yet identified.